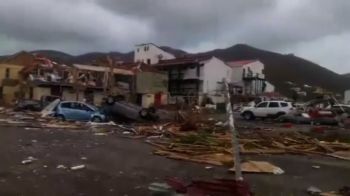 ROAD TOWN, Tortola, VI - One year later, today, September 6, 2018, after Hurricane Irma—a killer category five storm—ripped apart the Virgin Islands (VI), many of the infrastructure remains the same. 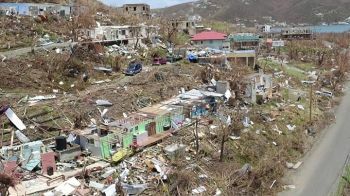 Hurricane Irma is on record as one of the worst natural disasters ever to hit the British Overseas Territory (OT). It packed winds of over 185 mph and in some areas sustained winds gusts of over 225mph. 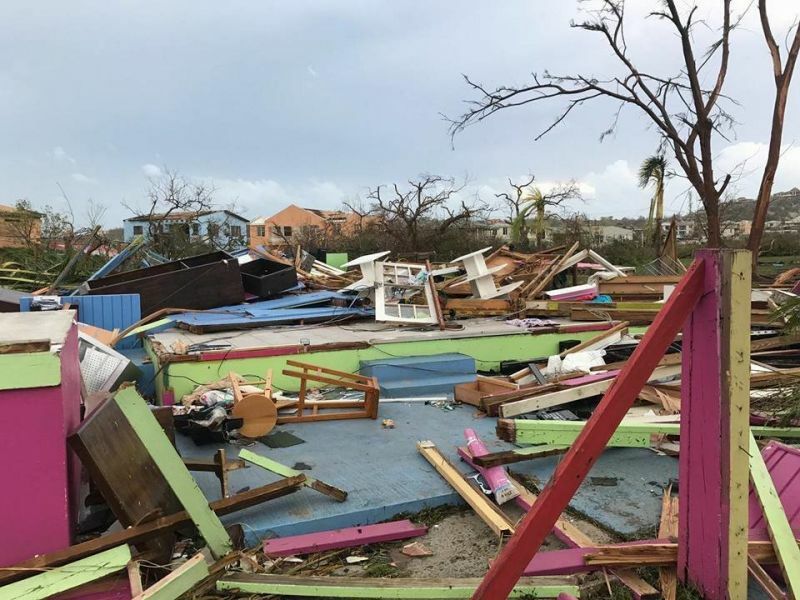 The morning after Hurricane Irma the VI had turned from green to brown, with some saying they witnessed tornadoes. Homes, Government buildings, churches, businesses, animal farms, boats, planes, and automobiles were 90 per cent destroyed and left waste. 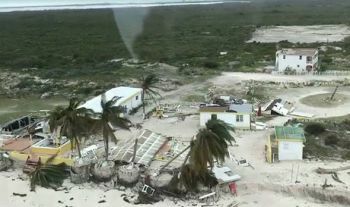 There were some five deaths although the Government claimed it was only four, however it was later said four from Irma and one from Maria. 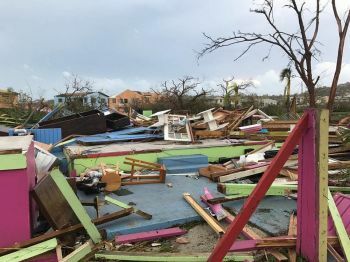 Irma wreaked havoc on the islands from Jost van Dyke to Virgin Gorda, Tortola to Anegada and many of the Cays knocking out altogether phone lines, cable lines and the electricity grid. Animals also died in large numbers, and many people especially, the young, left the islands looking for better opportunities in the USA and the United Kingdom (UK). As of today, one year later, it is believed only three Government buildings out of 99 per cent of them destroyed have been restored, the House of Assembly—after much criticism, the Magistrate’s Court (new structure) and the Commercial Court, an ongoing project. Many Police Stations, public Schools and many looted businesses are still the same as they were the day after the 2017 storm. The ruling National Democratic Party (NDP) Government had gone AWOL, about a month immediately after the Hurricanes and could not be found. Recently, outgoing Premier and Minister of Finance Dr the Honourable D. Orlando Smith (AL) who now shares his Government responsibilities with a co-leader Hon Myron V. Walwyn (AL) said he was there, but many residents said they had never seen him or his Ministers. The foreign press and some local residents hailed the UK appointed Governor Augustus J. U. Jaspert, as the hero who was there for the people after the Hurricanes. Still, a year later, there has been no plans submitted by the NDP Administration, as to what and how they will recover. 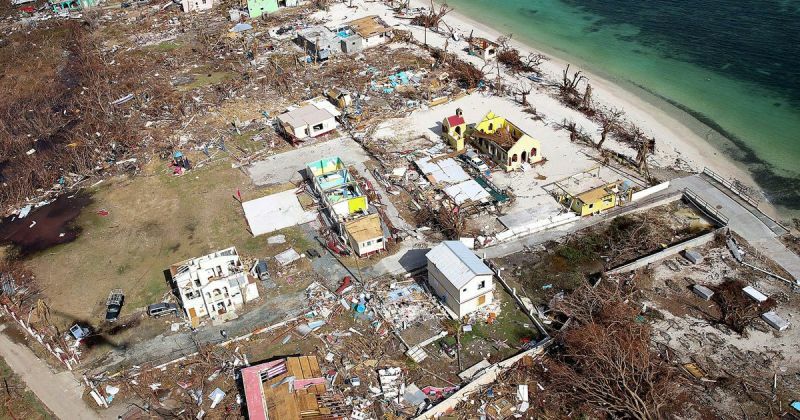 The UK, because of mistrust of the NDP Government and consistent allegations of corruption and mismanagement of public money, has set up a Recovery Board, that many have described as an ‘alternative Government’ in order to manage the donations and loans and keep an eye on public hurricane recovery funds. Today many residents are still homeless and jobless with no sign of how they will get their lives back together. 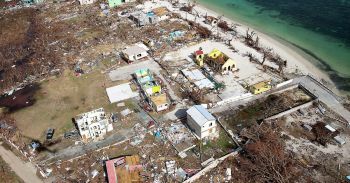 A few months ago, the Minister for Health and Social Development Hon Ronnie W. Skelton (AL) has offered some help in rebuilding roofs for the poor, however, most of the recovery efforts have been led by the private sector and the recovery Board, as the NDP government has become useless or in a ‘lame duck’ state. Some Local Corporations have selected to rebuild schools, and many private sector individuals have made large donations on the sister islands. A year later, the economy is dead in most areas with the exception of insurance, car sales, food sector and the sale of building materials. The Tourism sector is struggling but shows signs of recovery. 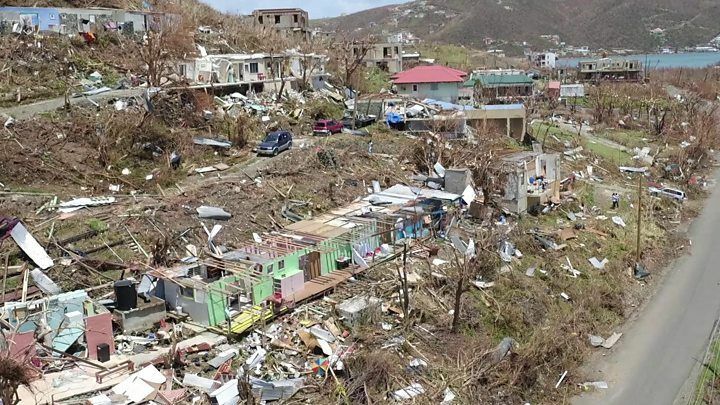 There are signs of life a year later in the VI, and many residents have survival stories, but the quality of life is simply less, more difficult and less hopeful than it was a year and a day ago. So what do we do now? We have a “now” and we can be thankful for that according to many in the religious community. However, we are a resilient people and it is clear we have the potential to be a more purpose-filled community with a new government—one with a plan and one that cares for their residents and love people. But the VI will rise again! Ndp not doing a thing name one thing them did Since, besides clean up, school, police station, fire stations, clinics etc still not fix but they had time for festival.. The private sector did well and continue to do so. Unfortunately the same can't be said for the public sector. Simple things can go a long way. Don't have to do capital expenditure to make things happen. I am sick and tired of people complaining and not being thankful for anything. To have been spared that dreadful hurricane is enough to say Thank You! A lot of us are looking for wants and not needs; we want to have the same lifestyle that we had before Irma. Government cannot take care of everyone; we as citizens have to find ways to assist ourselves. Other countries who werehit by Hurricanes Irma and Maria, are being grateful and doing their best to help to build back their countries. We need to be grateful for small mercies. Success in the cleaning up and recovery of the Virgin Islands is not Owned. It is leased and rent is due EVERYDAY. Every one living here need to chip in and do their part. Seize the time. and that near and of course in the tornadoes the winds were over 350 mph and up. ask anyone who was in one. picking up and tossing of 16,000 pound objects etc. so fun. sure seemed artificially amplified. Hurricane Irma, a monster Cat 5 storm, unleashed its fury on VI on 06 Sep 17, devastating the territory and causing significant damages ($3B). 4 deaths resulted dorectly from the storm and tens in the aftermath; may they rest in eternal peace. Hurricane Irma changed lives and circumstances. Every part of BVI life was severely impacted : School, public safety, infrastructure, housing, sport, employment/jobs, medical, social services, environmental resources, attractions, economy, government delivery of services, marine ports operations, ferry services, tourist facilities, finance, road network.........etc. Further, the territory saddled with the decimation is working to regain its footing to return to normalcy. The territory is forging ahead with resiliency, recovery , reprogramming........etc. However, as the territory forges ahead, it must focus on replanning. It must take pause and review how things were done in the past and if it makes sense to continue to do things as they were done in the past. The devastation provides an opportunity to do things differently. Somethings need to be performed differently. For example, ESHS sits on some prime real estate but the land use is not being optimally used. Suggest razing, resiting, redesigning, and reconstructing the facility to make more effective use of the prime land. Moreover, the facility should be designed for a dual purpose, ie, 1)school facility and 2)rideout facility during a hurricane and other disasters. Looking ahead, the territory must recover using a national development plan (NDP). True, the territory can’t fund the recovery from surplus funds and must borrow millions if not billions. The territory will have to incur debt. Though no debt is preferable, public debt if used properly is vital for economic growth and development. How much debt is too much? In normal times, the experts recommend a debt to GDP ratio of 40% ( think the current ratio is well below this recommended number) for developing countries such as the BVI. Nonetheless, in certain circumstances, the debt load can temporarily exceed the recommended number, provided the territory can manage its debt load.